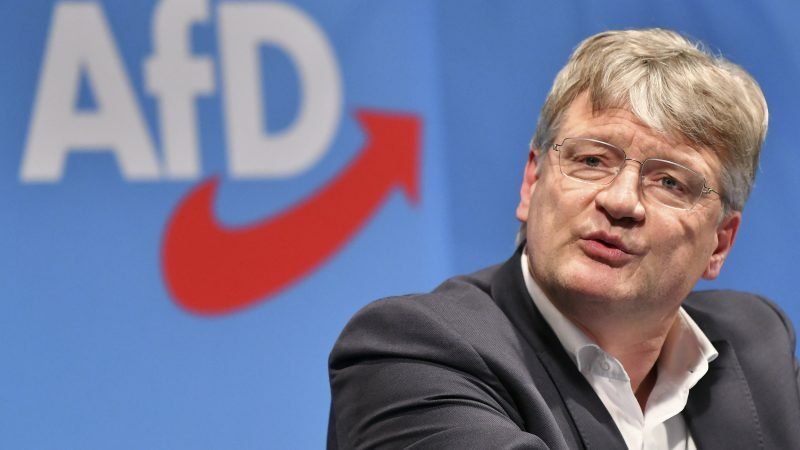 The far-right Alternative for Germany (AfD)’s chief candidate for European elections, Jörg Meuthen, expects big gains for nationalist parties but thinks they will have trouble forming a united front to advance an agenda. Meuthen, one of two leaders of the anti-immigrant, anti-Islam AfD, said diverging interests and clashing personalities would likely prevent a “patriotic alliance” forming in the European Parliament after the May polls. “I expect that conservative forces will be clearly strengthened in the elections and that social democratic forces… will be heavily weakened,” Meuthen told AFP. He said the expected strong gains of the “patriotic parties” of the right would allow them to block certain measures advanced by the conservative European People’s Party, which currently has a majority. To do that, however, would require far-right, right-wing populist and right-wing nationalist parties to “work together because they can’t do anything as individual parties”, said Meuthen, 57. The AfD, along with Italy’s hard-right League party — which is planning a meeting of like-minded group Monday — and Austria’s Freedom Party (FPÖ), saw its support surge during the 2015-16 migrant influx. But “even if the AfD wins seats in the (European) Parliament, we can’t do anything on our own. That’s why we need to unite with the others who share our thinking,” Meuthen said. The AfD, which is presenting its European election campaign programme Saturday, is currently polling at around 10%. In order to throw their weight around on the European stage, far-right parties have got to strike “compromises in the European Parliament and that’s even more complicated because we have 28 different countries with different approaches”, said Meuthen. The European Parliament still includes Britain as a member state and progress on the complicated Brexit withdrawal procedure will determine whether the country will still need to elect new deputies in May. Rightist parties “have the same or similar positions on migration policy but very different views in other areas,” he said. Economic policy is just one topic of serious divergence among the parties of the right, particularly between Marine Le Pen’s National Rally (RN) in France and the AfD. “We are a party that believes in the market economy and aren’t friends of protectionist measures, compared to National Rally,” he said. On these issues, the AfD sees its allies among “northern Europeans such as the Danes, the Finns and the Irish who favour an open economy and not strong statism as is the tradition in France”. Some members of the European Parliament elected in 2014 joined different parliamentary groups once they claimed their seats, and some turned their backs on the party altogether. One thing that has focused the minds of the traditionally eurosceptic parties has been the unseemly spectacle of Brexit. While many of the nationalist outfits once advocated an at least long-term strategy of leaving the European Union, Britain’s torturous path to the exit has served for many as a cautionary tale. Meuthen also speaks of a German departure from the European Union, which still enjoys relatively high approval ratings in the bloc’s top economy, as only the “ultimate recourse”. He said he even regrets Britain’s more-or-less imminent goodbye, although he welcomed Brexit after the referendum approved it in June 2016. “We are sad that the Brits are leaving the EU” but we “have to respect their democratic choice,” he said. “We want to reform Europe and reduce its requirements to an exclusively economic minimum,” he said, with an eye to the currently binding immigration policies of the bloc. Rightist parties must oppose “a common army, a common labour market or a common minimum wage,” Meuthen said. If the UK is still stuck in The EU and made to participate in the EU Parliamentary elections, there will be an awful lot more nationalist MEPs. Most of whom will make Nigel Farage seem like a fellow traveller on The Project.